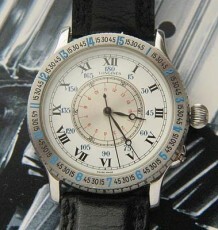 Vintage Tissot world time bumper automatic multi timezone watch. 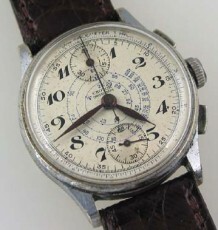 Stunning condition steel cased watch from the 1950's. 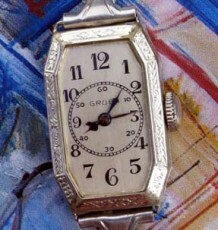 An uncommon and rare Tissot World Time from the 1950’s. The dial on this spectacular watch is nothing short of breathtaking. 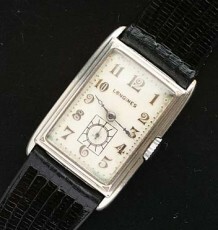 It is in excellent condition with the name of major cities across various timezones around the world. 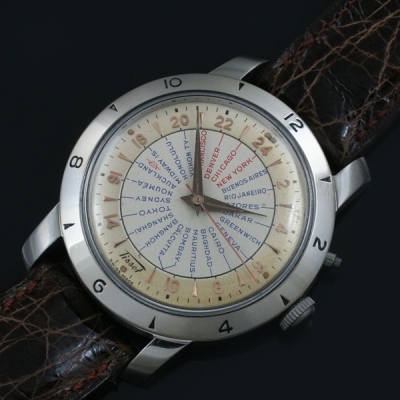 The watch keeps local time with the numerals on the bezel and you can see a corresponding time at whatever locale around the World at a glance. The watch is fitted with an automatic winding Tissot bumper movement which was just cleaned and is keeping excellent time. The watch measures 36 mm wide and comes with a brown crocodile strap.